To establish standards for determining what qualifies as a special event, what the risks are associated with such events, and what special approvals, permits and support services may be required for events to be held on the Urbana-Champaign campus. 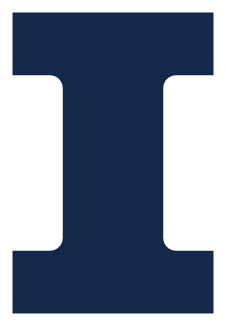 All individuals and/or groups sponsoring or organizing events to be held on premises and facilities owned, leased, occupied or otherwise controlled by the university on behalf the Urbana-Champaign campus. University premises and facilities may be made available for special events, provided that sponsors/organizers of such special events work with designated officials, or with the Special Events Advisory Committee for premises and facilities without a designated official, to make appropriate arrangements to avoid unnecessary risks, injury to persons, and/or damage to property. The sponsor(s)/organizer(s) of any special event must comply with facility use policies listed in the Campus Administrative Manual (CAM) and The Student Code, venue-specific policies, as well as federal and state laws, and city ordinances. Event sponsors/organizers must review the event details in advance with the designated official for the proposed venue, or with the Special Events Advisory Committee for premises and facilities without a designated official, to determine whether the event qualifies as a special event, to determine the need for any necessary approvals or permits, and to arrange for necessary support services. Event sponsors/organizers are responsible for any costs associated with such permits and support services. Determining what qualifies as a special event may involve numerous factors, including, but not limited to, the likelihood that anticipated attendance may approach the capacity of the venue or involve street closures/traffic impacts; whether the event is designed to include minors; whether the event involves the serving of alcoholic beverages, public safety permits, third party vendors, or public safety officers; whether the event involves the use of fireworks/pyrotechnic devices, temporary structures, or modification to the infrastructure of the venue. Events that are beyond those normally occurring at a venue and/or that may have a significant impact on normal university functions, programs, or activities of the venue. The individual who has been approved by the Chancellor or his/her designee pursuant to the applicable procedures and who specializes in event management for a particular facility. Event sponsors/organizers seeking use of university premises and facilities for a special event should submit a request to the designated official of the proposed venue or to the Special Events Advisory Committee for premises and facilities without a designated official. Registered Organizations and Registered Student Organizations should follow the reservation procedures set forth in The Student Code. Facilities or units with designated officials include, but are not limited to, Office of the Registrar (“OR”), Illini Union, Krannert Center for the Performing Arts, State Farm Center, Division of Intercollegiate Athletics, Campus Recreation, and University Housing. The designated official of the requested venue or the Special Events Advisory Committee (if the premise or facility does not have a designated official) shall confirm whether the organization or individual requesting space is eligible to use university premises and facilities in accordance with CAM policy University Premises and Facilities; determine any special approvals for the specific event; determine space availability and appropriateness for the specific event; recommend alternatives venues when necessary; and notify the applicant accordingly. The designated official or Special Events Advisory Committee, as applicable, shall, upon request, provide a written statement setting forth the refusal to approve a reservation, the reasons for the refusal, and the right to appeal the refusal to the Committee on the Use of Facilities. The Committee on the Use of Facilities also hears appeals of determinations regarding the need for approvals, permits, and support services for a proposed Special Event pursuant to The Student Code. The Coordinating Committee on Entertainment Events is responsible for overseeing entertainment events open to the student body and/or general public that involve professional performers, including responsibility for operations and resolving any conflicts related to such events, as further specified in The Student Code. The Office of the Registrar, in coordination with other campus units, maintains contact information for designated officials and for the Special Events Advisory Committee, Committee on the Use of Facilities, and the Coordinating Committee on Entertainment Events. Upon the direction of the Office of the Chancellor, questions about this policy may be directed to the Office of the Registrar, Facility Management and Scheduling unit, at fms-reserve@illinois.edu or (217) 333-1230.